We recently hosted a webinar entitled “Your Ultimate Guide to Instagram in 2017,” and we received a lot of engagement from the presentation. Several attendees sent us questions based on the material that was presented, and we decided to research answers to some of those questions in a new piece of content. We’ve picked 5 of the most interesting questions and offered the most constructive answers we can provide. Read on to learn more. 1. Do you think Instagram will be able to push the call to action button without alienating the user? Instagram first introduced the call to action button in 2015. At the time of the release, a post on Instagram’s blog described the new format as the next step in making Instagram ads more impactful. Here is an example of how a call to action button looks on a typical Instagram ad. Notice the button at the bottom right of each image, and the context within - Shop Now, Install Now, Sign Up. Each of these options allows brands to drive business results through social engagement, and allows users to immediately learn more about an interesting product or service. According to an article by Fortune Magazine, over 500,000 companies were advertising on Instagram as of September 2016. At the same time, over 1 billion “actions” (clicks on an ad, new account followers, etc.) have been taken since Instagram introduced advertising to its platform. It’s a platform that encourages the sharing and discovery of new information, which is appreciated by the masses. Instagram now has the second highest amount of daily active users than any other social channel - only parent company Facebook boasts a larger user engagement base. The platform is one of the fastest growing social channels on the market, and businesses are generating significant revenue from their ads. It’s safe to say that by providing people a direct link to learn more about a product or service that interests them, Instagram has filled a gap with its calls to action. 2. IG offers the ability to create ads in FB's ad manager AND the ability to promote a post directly through the IG app. They seem to offer different capabilities. Any thoughts on the differences, similarities and which you recommend? Facebook certainly encourages brands to bolster their advertising efforts on Instagram. During the company’s 2016 Q4 earnings call, Facebook CFO David Wehner said that Instagram’s rapid user growth rates, along with a swelling sense of ad saturation in Facebook news feeds, means brands should invest more time and energy into Instagram ads. Technically, the first thing you need to do is ensure you have both a functioning Instagram and Facebook account. When you decide to create a new Instagram ad, the first step in the process is to decide what your overarching goal is with the content. Here is a screenshot of the first thing you’ll see when you choose to create a new ad. You need to decide where in the consumer journey this ad will be positioned. If you’re targeting a new batch of people who have never interacted with your brand, high level goals like awareness and reach are your best options. On the other hand, if you’re targeting repeat visitors to your Instagram channel or to your website, lower funnel metrics like conversions are your best bet. Once you understand how you’ll measure the performance of your content, you can decide how to create your ad. Since the acquisition of Instagram by Facebook, the two companies have integrated many of their features to help marketers develop interconnected campaigns across both channels. This integration also means that the requirements to approve your ads are virtually identical between the two platforms. Hootsuite has a great post about the design and technical requirements necessary for brands to get their Instagram ads approved. The main benefit of using Facebook Ad Manager to create your Instagram ads is that you develop the content in a centralized hub alongside all of your other campaigns. You can review the targeting, the scheduling, the expenditure, and the performance of your previous ads to help you develop optimized new content. 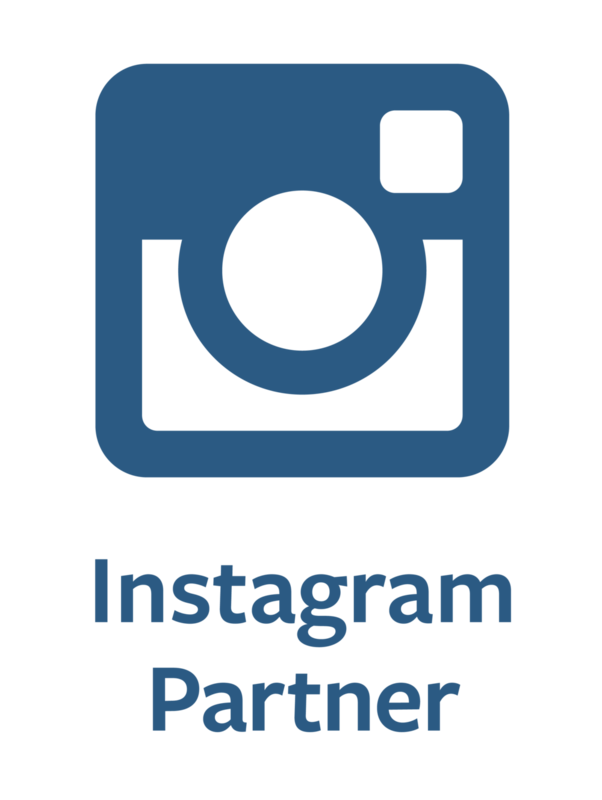 Directly sponsoring a post in Instagram may be a little quicker, but you could unintentionally overlap with one of your other campaigns without checking your dashboard. All of that being said, if you feel like you have a good handle on the timing and budgeting of your Instagram ads, feel free to directly sponsor a post in Instagram. 3. What’s the ROI on multiple ad views? Once upon a time, advertisers and marketers lived by the Marketing Rule of 7. It said that people would need to see or hear an ad 7 times for the message to stick, and to purchase the product or service featured in the ad. Nowadays there is the Digital Rule of 7, which places less emphasis on pushing ads towards customers and more on conversing with your audience in a two-way digital dialogue. Social-savvy marketers develop strategies to reach a specific niche of followers up to 7 times a day through interesting and engaging content. When people like or engage with your content, they are engaging with your brand. They become aware of who you are, what you do, and how you can add value to their lives. If you are consistently producing and sharing quality, educational content; you are fulfilling a need for your target audience. Consciously or subconsciously, they will recognize the service you are providing and continue to engage with your brand as you share content related to your products and value propositions. Ted Rubin, one of the world’s leading social media strategists, coined the phrase Return on Relationship. He says marketers need to think beyond ROI when analyzing the success of their campaigns, and place more emphasis on the long term relationships established with customers. The relationships you nurture with your audiences are the journey towards customer acquisition, retention, and advocacy. If the content you share inspires people to repeatedly interact with your material, they are slowly learning to trust the credibility of your brand. Once a prospect trusts you know your stuff and can improve their lives, they will respond to the ads inserted into your social streams and take action - i.e. visit your website or make a purchase. 4. What are your thoughts on user generated content? Part of your marketing strategy is about building your brand. This means you need to present your style; show your areas of expertise, and the solutions you can provide to help people make better decisions in their own lives (professional or personal depending on the use case). In a nutshell, you need to be the architect of the message you share across Instagram and other channels. One of the challenges in relying on user generated content is that it limits, and often removes your ability to analyze or monetize your content assets. There are often legal obstacles when it comes to sourcing UGC, which can prevent you from using the best assets in your promotional ads. If you’re operating on a tight schedule, any time lost due to unusable assets could disrupt your entire campaign. Remember that the long term relationship you build with your customers is the real ROI in your Instagram campaigns. Building these kinds of relationships requires time and commitment - on both sides. People who follow your brand want to know they are getting something out of their time, but they also want consistency. They want to know that when they see a piece of content branded with your name that they can inherently understand that content is a valuable and worthwhile asset. This is why a growing number of brands are relying on technology to help scale the creation of quality, authentic content. Technological platforms connecting brands that need content with the practitioners who can provide those assets streamlines the creative process. You can use these types of services to scale the amount of content produced on behalf of your brand without deviating from your messaging and positioning through UGC. 5. What’s the best way to gain followers organically? Sue B Zimmerman is a recognized Instagram expert, and a featured speaker at various conferences. She successfully earned over 40,000 Instagram followers on two separate accounts within a period of five years. The majority of that growth was organic and built up through sheer commitment. The best way to gain followers in an organic way is to follow the example she mapped out. This means posting a consistent amount of quality content that followers can expect. A regular cadence, built into a daily routine, reminds people that interesting information will appear in their feeds at fixed times in the day. Tag a follower with a large network in one of your posts and ask that they tag someone else when commenting on the content. Let the chain reaction build from there! Ready to learn more about effective tactics to use for Instagram? Register for the recording of our Ultimate Guide to Instagram webinar for great insights and best practices.